When a Walgreens employee followed two shoplifters out of the store on Wednesday, Feb. 6 and confronted a man holding a bag of loot, the other man struck him from behind, and the two fled, according to Darien police. According to the police account, that blow seems to have turned shoplifters into robbers — when police found one of the two, they charged him with second-degree robbery, a felony. Keston Charles, 21, of Brooklyn, New York and another male were seen walking out of the store with a garbage bag full of items. The bag was later recovered, and a Walgreens manager told police it contained items priced at a total of $1,658.78. 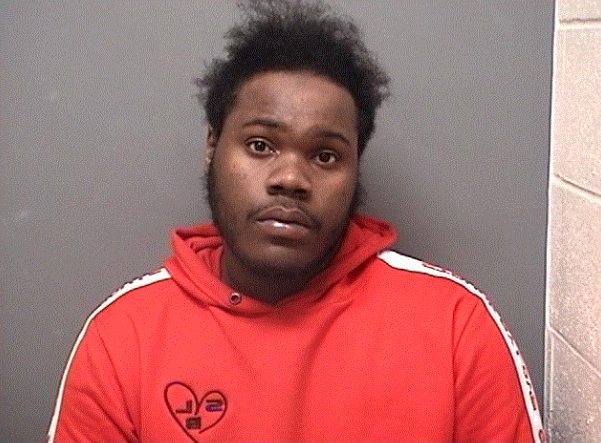 Feb. 4, 2019 arrest photo of Keston M. Charles, 22, of Marcy Avenue in Brooklyn, New York, charged with second-degree robbery, second-degree assault and related crimes. In the parking lot of the Heights Road store, the employee confronted the males, but while he was speaking with one of them, the other — later identified as Charles — struck him from behind, causing him to fall to the ground. Police didn’t specify the victim’s injuries, but said they were minor. Although the victim didn’t see the man strike him, several eyewitnesses corroborated what the victim said. Police never found or identified the male who was holding the garbage bag. Store video surveillance records showed Charles and the unknown male leaving the store with the bag. The police announcement about the incident did not say that the suspects had a motor vehicle to get away in or what kind of transportation they were using. The Noroton Heights Railroad Station is across Heights Road from the pharmacy. Police were called at 6:27 p.m. and got a description of the two males, which was broadcast to other officers. One officer in the area found Charles, who fit the description of one of the two, and detained him. In addition to second-degree robbery, Charles, of 502 Marcy Ave., Brooklyn, was charged with conspiracy to commit second-degree robbery, also a felony and the misdemeanors of fourth-degree larceny, conspiracy to commit that crime, third-degree assault and conspiracy to commit that crime. Charles was held on a $100,000 bond, which he didn’t post. He was taken to state Superior Court in Stamford the next day, where his bond was kept at the same amount and which he still hasn’t posted. He was assigned another court date on March 4. As a Stamford landscaper's truck passed south through the intersection of West Avenue and Hollow Tree Ridge Road late Thursday morning, the trailer behind it became uncoupled and was dragged down the street a short way when it caught fire, according to a town official. Although the fire briefly blazed high and destroyed the trailer and everything in it, none of the Love Your Home landscaping employees or firefighters were hurt, said Assistant Fire Marshal Robert Rockwell.